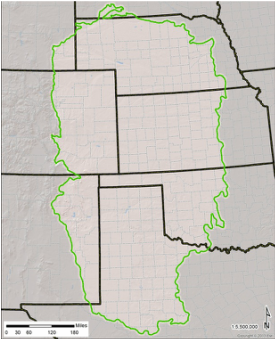 Guiding conservation of native reptiles in America's central and southern prairies. Check out project summary updates here! The Great Plains Reptile Monitoring Project is testing a standardized, probability-based survey that would enable monitoring of terrestrial reptile populations in native habitats. 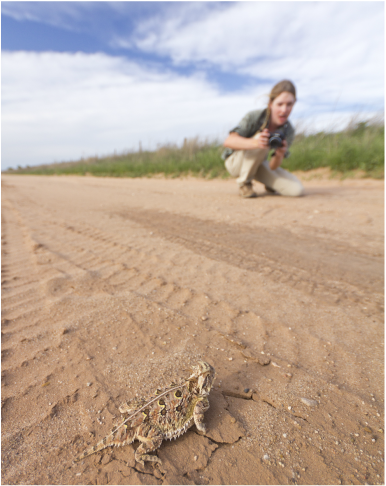 The project initiated in 2013 to compare standardized visual encounter surveys for landscape-scale monitoring of terrestrial reptile populations. We are currently analyzing data collected between 2013-2016, and expect to complete manuscripts to submit for peer-reviewed publication in 2017-2018. Danny's dissertation seminar took place on 3 Dec. 2018. A link to the recorded seminar will be posted soon! Danny has accepted a job in Arizona and will begin work there in early 2019. The Great Plains Reptile Monitoring Project collects data that will inform conservation of native reptiles into the future. We use robust sampling methods that are field-tested and scientifically defensible. A Texas Horned Lizard detected by an observer in the Panhandle region of Texas (Photo : D. Martin). This project investigates the viability of photographs of reptiles as a less-invasive technique to identify individuals for future population monitoring efforts. All content © D. Martin unless otherwise credited, please obtain written permission prior to use.